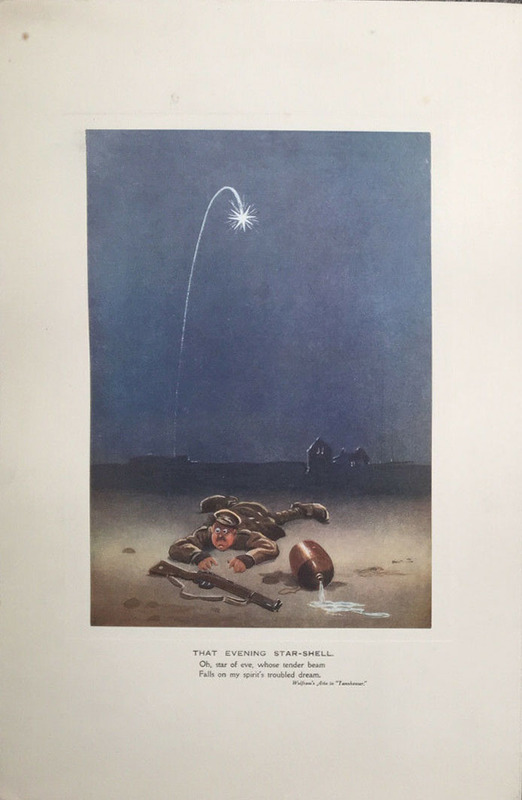 No Possible Doubt Whatever Where did that one go to? 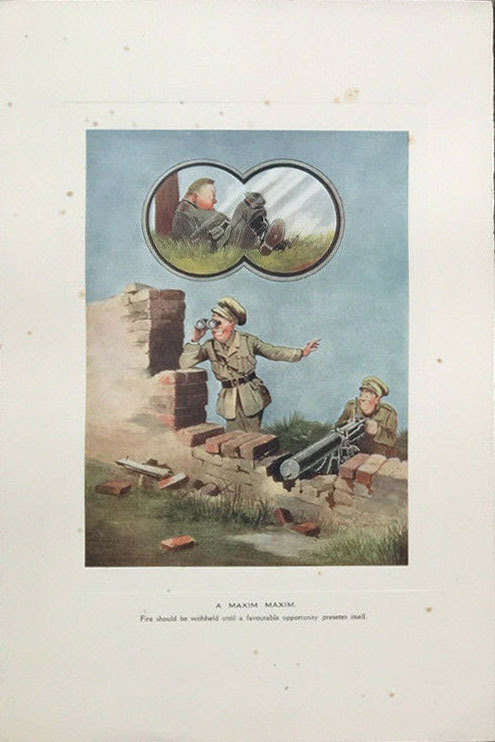 The colour prints were available direct from The Bystander and were priced at 1 shilling each or 1s 1d post free. 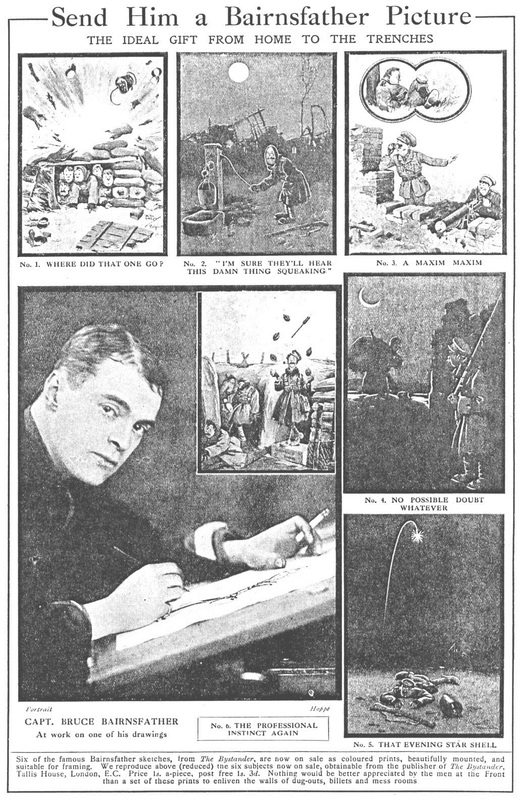 Two weeks later The Bystander featured a full page advertisement for the colour prints, including images of each cartoon available and a photograph of the popular soldier-cartoonist at work on one of his drawings. 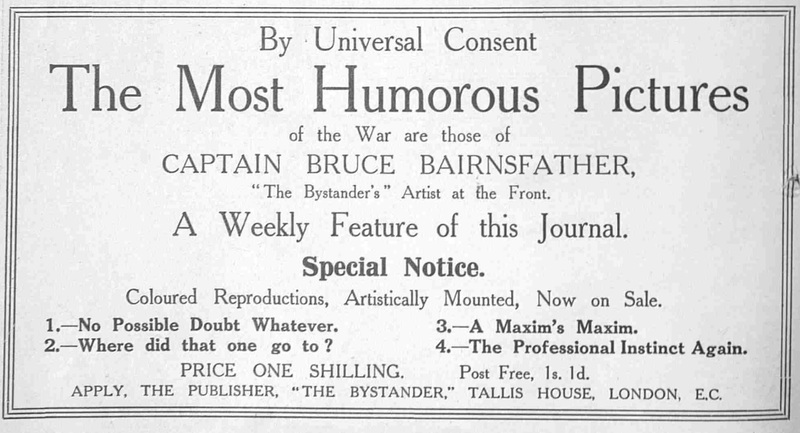 The advert encouraged readers to "Send Him a Bairnsfather Picture. 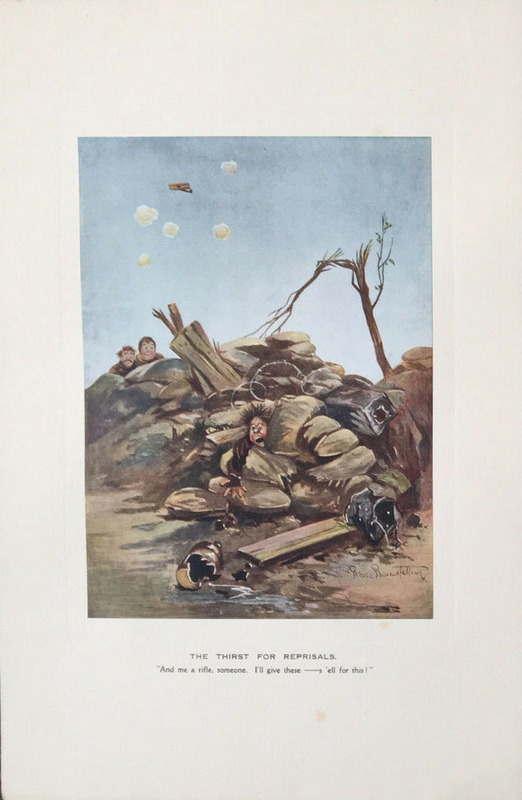 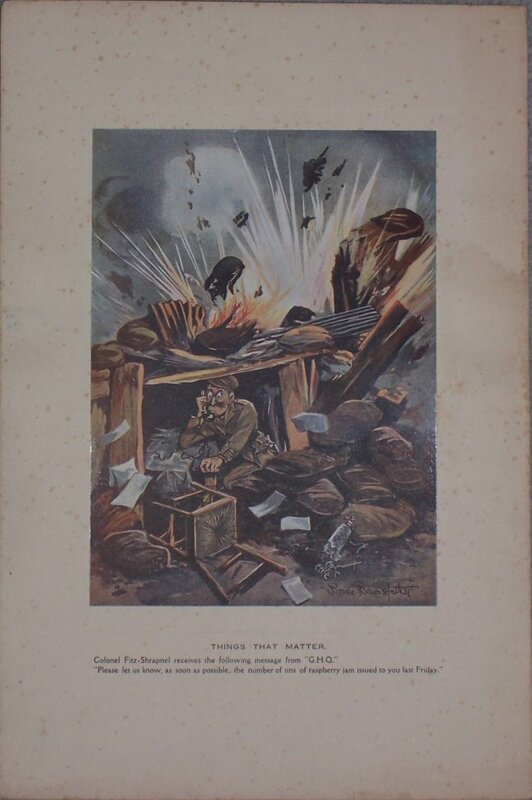 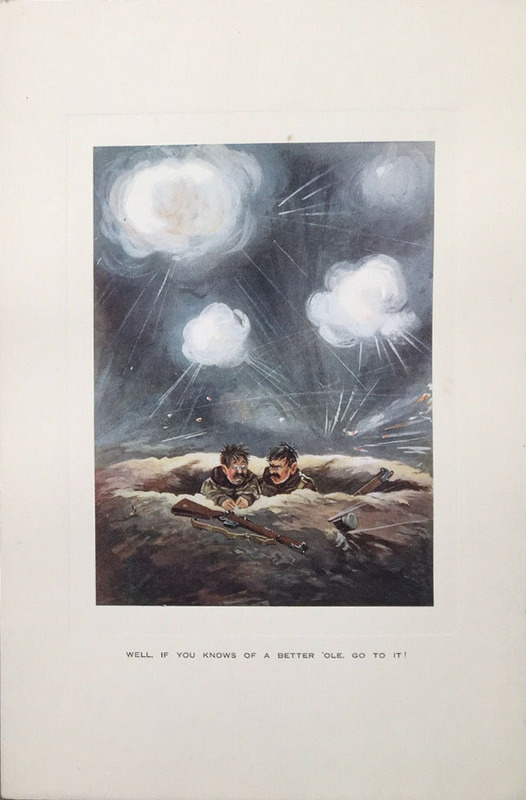 The Ideal Gift from Home to the Trenches" adding that "nothing would be better appreciated by the men at the Front than a set of these prints to enliven the walls of dug-outs, billets and mess rooms." 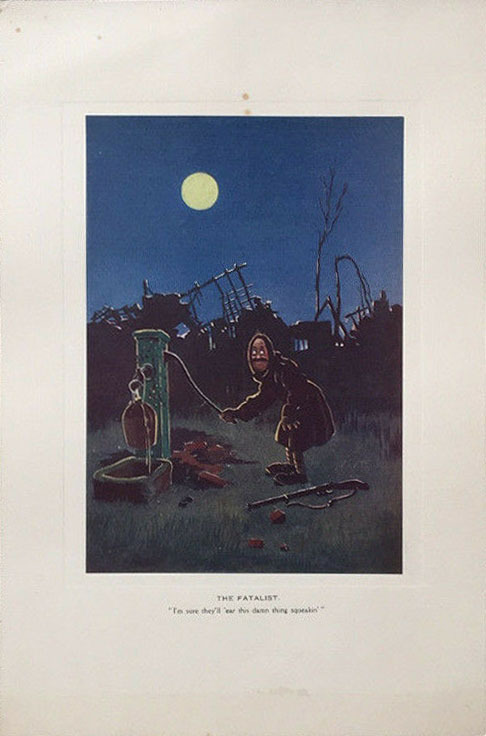 Still priced at 1s 3d each, the complete set of 12 prints could also now be purchased for 13s post free. 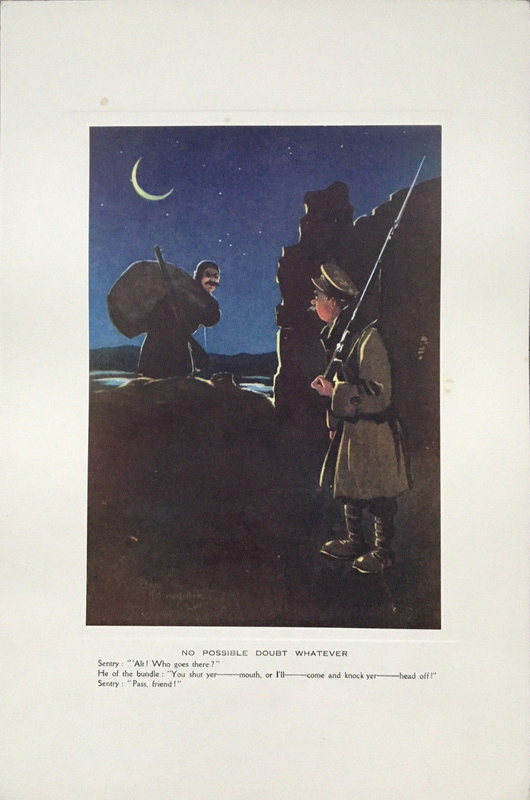 As a set they came in a presentation folio, with a colour image of one of the cartoons on the cover. 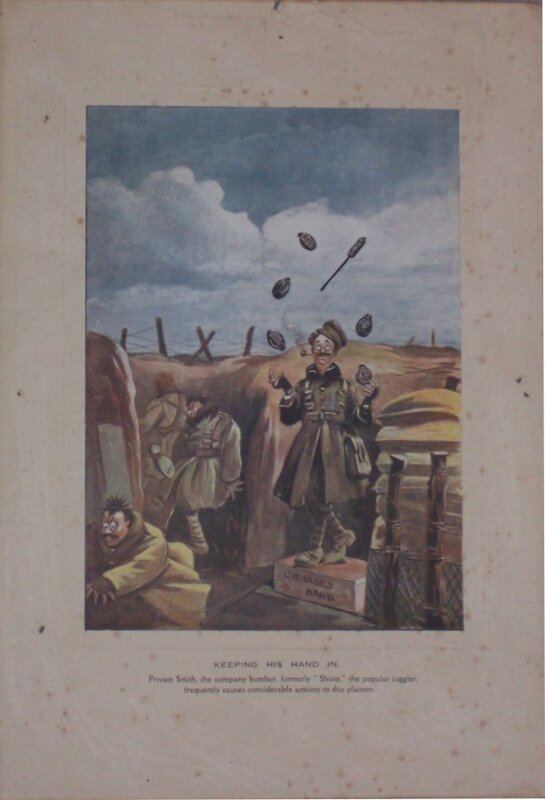 The colour prints were on white place sunk mounts 9.75" x 14.75" and had the captions printed underneath the cartoon. 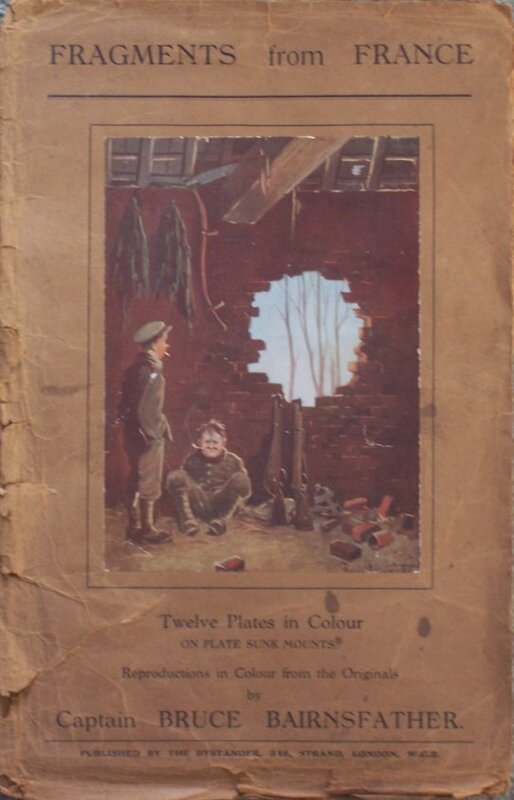 By October 1916 more than 75,000 colour prints had reportedly been sold.